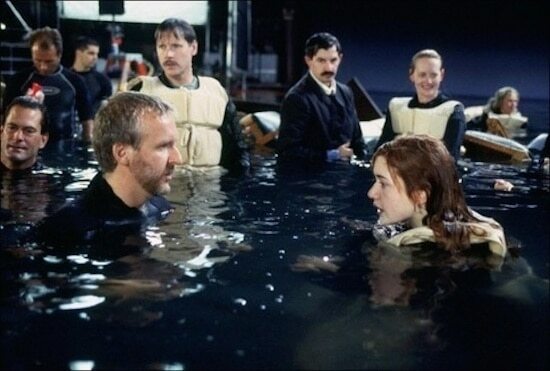 The image was taken during the filming of the movie Titanic. Although much of the movie is set on the ocean, the “ocean” the actors jump into is just a giant, 3 feet deep pool. More strange and mind blowing movie facts in the Other section below.